When I was in high school, I remember my mother would make these Baked Texas Style Chili Dogs sometimes on Friday nights just before we went to the football game. This was a quick way to serve chili dogs without having to set out all of the fixings, and clean up is quick. What I like most about them is when they come out of the oven, the bun is crunchy on the outside and soft on the inside along with the hot dog and chili. They are so yummy good! I made these with some of my Blue Ribbon 8-Hour Chili and served them for a quick Sunday lunch. We had some leftover, and I cut them in half and served them as mini chili dogs at our Life Group Meeting Sunday evening. They were a great hit with the children. Preheat oven to 375 degrees F. In a large oblong baking dish, arrange the hot dog buns in a row. Spoon a tablespoon of mayonnaise and mustard on the inside of the bun. Place a hot dog in the inside of the bun. Sprinkle a teaspoon of onions and pickle relish on the top of the hot dog. Cut American cheese in half and arrange on tope of the onions and pickle relish. Spoon chili on top of the the cheese slices. Place in the oven for 20 to 30 minutes or until the cheese is melted and bubbly. Take out the oven and top with a tablespoon of cheese or more over chili. Garnish with diced Jalapeños. Your recipe sounds great! 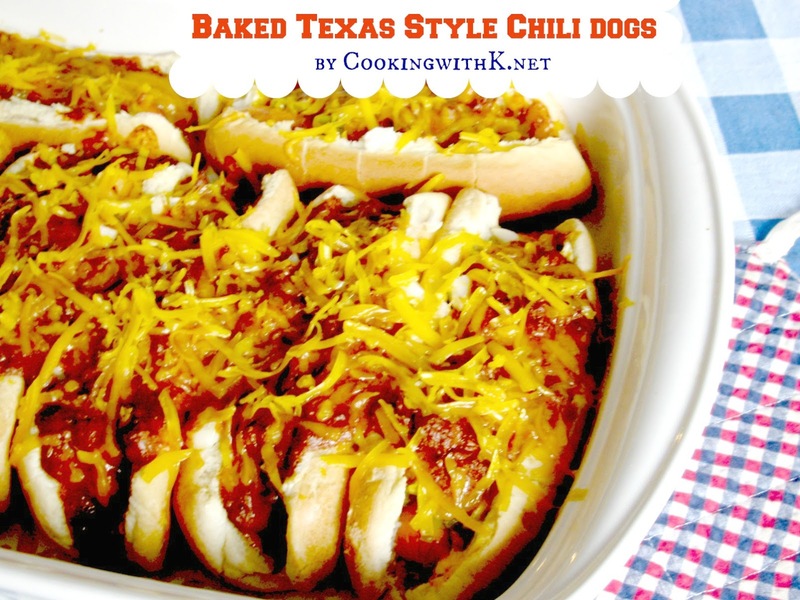 I have never tried fixing chili dogs in the oven, sounds good! Thank you Joy…they are super good! 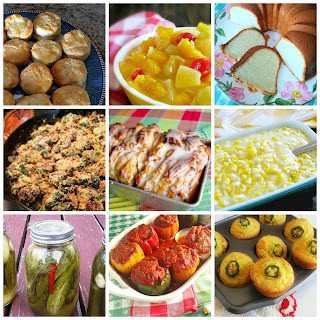 These look great, and I love the idea of baking them. Thanks for sharing! WOW my husband saw this and has to have it now. I never thought about baking them in the bun. I bet it makes the bun nice and crispy! Love this! 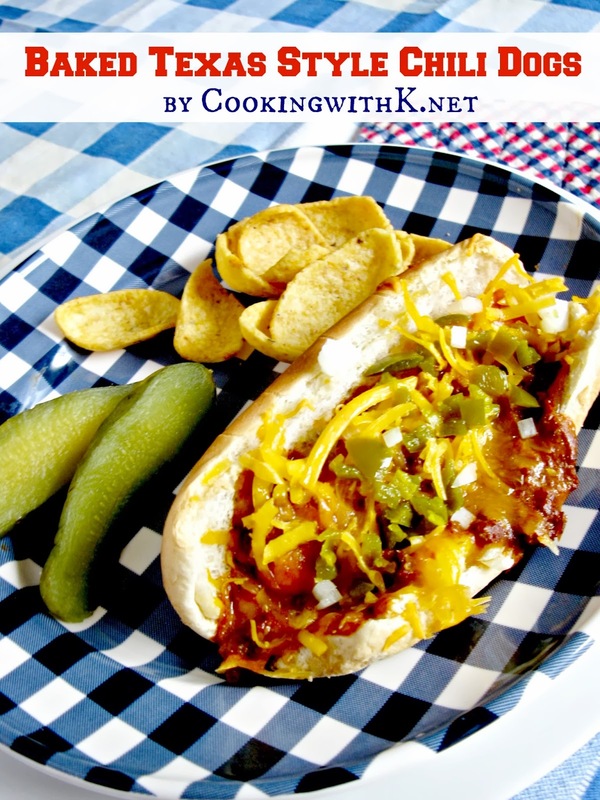 I often make chili dogs with leftover chili, but had never heard of baking the whole thing! I LOVE it!! Definitely trying this next time. Also love this "loaded" version for the hubs and I, and I can still make the ones for the kiddos a little more plain. 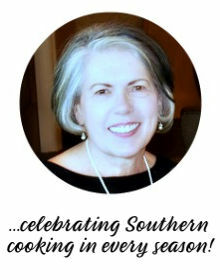 Found you through the In and Out of the Kitchen link up! Oh my, these look soooo good! I'll be making these this week. Just pinned this! Thanks for sharing! 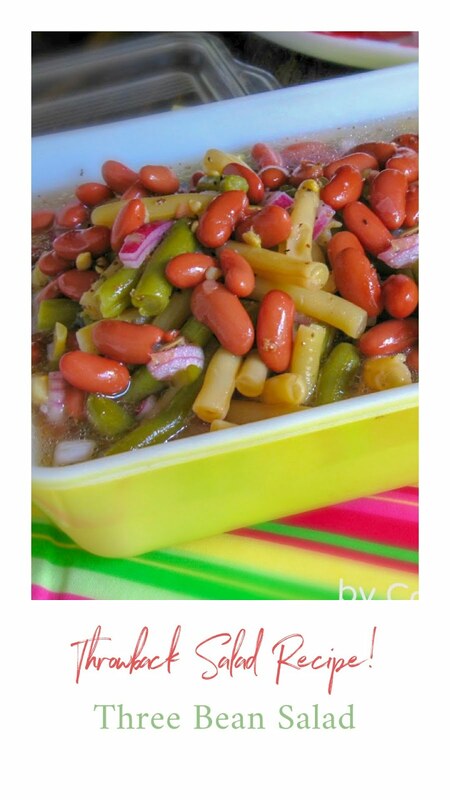 What a great recipe, thanks for sharing on Tuesdays With a Twist.